Loss is never easy, particularly when it pertains to a prolific artist whose work has touched many. 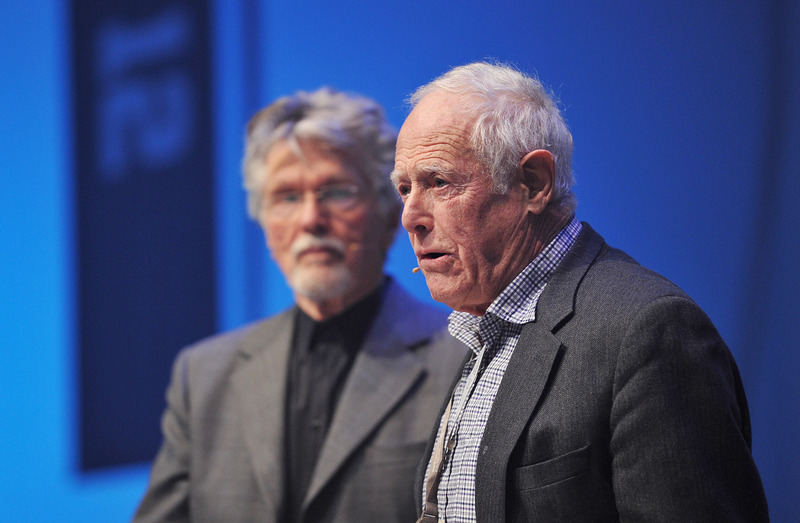 Such is the case with American novelist James Salter, who tragially passed away Friday in his Sag Harbor, NY home at the age of 90. Salter's death was confirmed by Alfred A. Knopf Publishing spokesman Paul Bogaards in a statement to The Associated Press, and by his wife, Kay Eldredge, to the New York Times — though further details surrounding his passing were not immediately available. With a career spanning more than half a century, Salter was the author of 20 works of fiction, including the critically acclaimed 1976 book Light Years and 1967's A Sport and a Pastime. Serving as a career officer and pilot in the United States Air Force throughout the '40s and early '50s, Salter resigned from the military after successfully publishing his first novel, The Hunters, in 1957. His time in the Air Force inspired at least two of his novels, though the subjects of his books spanned a variety of topics including love, war, and the evolution of self. In addition to novels, Salter was also an accomplished short story writer, with his 1988 collection Dusk and Other Stories, earning him the PEN/Faulkner Award. One of the stories from the collection, Twenty Minutes, later became the inspiration for the 1996 film Boys . He continued to work well into his 80s, with his most recent novel, All That Is, having been published in 2013. While Salter's work and presence will be greatly missed not only by fans of literature but by his fellow authors, it is a small comfort to know that his legacy lives on through his breathtaking, legendary work.